Department of MBA has organized “ZEST 2014”, a Mega Management Event with the objective to provide a platform to graduate and post graduate of management students to reflect their management competencies and knowledge sharing. 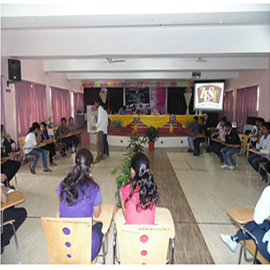 The event was held on 22nd Feb 2014 at Pimpri Chinchwad College of Engineering. Zest 2014 was an intercollegiate competition for UG and PG students. Different competitions were organized for both the categories. 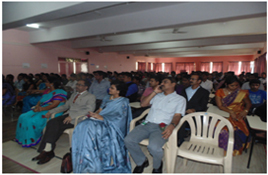 The chief guest Dr. Neha Sharma, Director, Indiana Institute, Pune graced the occasion. 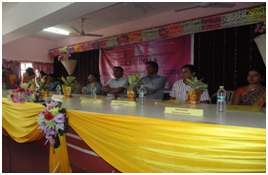 The Event started with inaugural function in Seminar Hall. Master Mind (UG) - "A business Quiz Competition" with a motive - think fast, play together, and have fun. Faculty Coordinator: - Prof. Sanjay Gaikwad. The Valedictory function was held on same day and anchored by Ms. Gayatri Pawar (MBA-II) and Ms. Sneha Kumbhar (MBA-I).In valedictory function all the winners were awarded with cash prizes and trophies. All the participants were awarded with Participation Certificates. The Overall Trophy went to Indira Institute of Management, Wakad for winning maximum prizes. 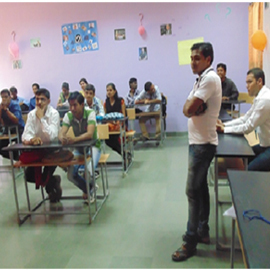 Participants enjoyed all the competitions.